What do you mean Grace? Well, glad you asked voice in my head. I thought I would try and save a blog topic I wanted to write about until later in the semester. Which was of course, a very huge mistake, since the topic was about a company that has essentially all of its following in New England. Well, @profgarbusm beat me to it. To get an amazing overview of Barstool Sports and why its working as a lifestyle brand read his blogpost here. A major point in the plus category for Barstool is that they are run by a company that believes in their unapologetic and racy content (The Chernin Group). They have essentially no restrains on how they can talk, what they can say, and when they can say it. Content is content and there are often jokes made on the site about “snowflakes” and “the PC Police.” While this can be offense for sure, this makes it very easy for their content to be generally organic and feel less scripted, thus having fans be more engaged, specifically males in the 18-35 age bracket. Listen to one episode of KFC Radio or PMT and you will know what I’m talking about. They make jokes about staring at computer screens all day and feeling like their eyes are going to fall out of their head, and then seamlessly plug Felix Grey eyewear. They sometimes so seamlessly integrate advertising, the other cohosts don’t even know that they listening to ad reads. brand went up. While its been shown that visibility doesn’t always mean profits, its a start to show the power of the Barstool brand. Barstool has also done this with Leesa Mattresses, direcTV, and most recently Sirius XM Radio. A minus for this is that often the way they talk, especially past examples that have defined their brand, drives away bigger advertisers. The biggest example of this is when the most popular podcast on the roster, Pardon My Take, was given a TV show on ESPN, and then was promptly cancelled after one episode when ESPN employees voiced their concern with having ESPN attached to Barstool’s “image.” While this ended up creating amazing content for Barstool with “ESPN LIES” shirts flying out of the online store and people rallying behind the PMT crew, it also shows that it’s off-color personalities might take a little bit longer to reach more mainstream media, and thus bigger advertisers. (Though they’ve definitely gotten a fair share of bigger advertisers, like Dunking Donuts, Natural Light, and BudLight). Spectrum and the Power of the Internet. Barstool also does a great job of creating a wide variety of digital media content that can integrate into all other facets of the business. Blogs (just like this, oh yeah!) were the starting point, then podcasts, Twitter pages, Instagrams, video content, and now their very own Sirius XM channel. At some point in time you’ve probably stumbled upon a Barstool rant video on Facebook, or a funny Instagram video, without even liking Barstool or following them at all. Storylines can be followed through all different platforms. As Matt mentioned in his blog, Barstool has lots of pages/accounts that cover different kinds of content, from video games, to baseball, to cute animal videos. And the best part is? College kids and your everyday internet users send in videos EVERY SINGLE DAY. Barstool itself barely even has to search for it. I know that the @barstoolbostoncollege Instagram gets a few submissions a week and they have about 6k followers. @barstoolsports, the main page, has FOUR MILLION. While Barstool actually creates its own original content, lots of their Instagram pages are covered in videos and images sent in by other people. Leveraging the audience they have increases the amount of content they can put out, while also allowing the audience to feel like they are helping to build and be a part of the brand. Another major, though not very monetized asset of their business, is Reddit. The barstool reddit page is MASSIVE. Die hard “Stoolies” will visit the page everyday and discuss the inner-issues and workings of the company and its employees, further creating engagement between the company and its fans. While its not always pretty (aka it can get gross on there), it always fans to create their own engagement and further connect with the brand. T Shirt T Shirts T Shirts… and the Barstool Difference. Barstool does something very well that, as Brad Koch of the Medium describes as a challenge for most media companies to succeed with and that is MERCHANDISE. Barstool, in the 8 years that I have been following the brand, has put out HUNDREDS of t-shirts, and I would say that a good majority of them sell out and a good majority relate to their content and brand on a deeper level (definitely not talking about the Harambe shirts). 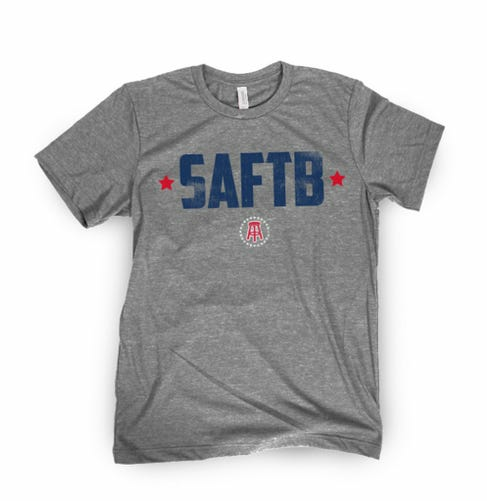 Even t-shirts that had typos were branded as “the barstool difference” (things are constantly messed up and not working) and still sold out to as if it were a novelty item. A drunken tweet from a Barstool writer, created their most famous slogan, Saturdays are For the Boys. This single late night tweet generated a slogan that I would say most college students are very familiar with and has generated THOUSANDS of t-shirt sales for the company. SAFTB jumped to Saturdays are for… your college team, your pro team, where you party in the summer, “fore” golfing. and fans ATE IT UP. Their fans are so integrated into the content and invested in the brand, that any inside joke or podcast they love can produce a revenue stream for the company. I don’t believe this would have been possible without the constant digital engagement from employees and followers alike. In Conclusion, this was long. I could write a thousand more words on the ways Barstool integrates solid, engaging advertisements into its brand, but I think the best way to see it is to follow @barstoolsports on twitter/instagram and see for yourself (currently on the #BudLightBusters grind for March Madness). While it has its pitfalls in bad fans who are internet trolls, and saying things that are just TOO inappropriate, it also creates such a strong following through its continuous and engaging content that advertisers really get to engage with fans who will actively and honestly engage with them as well. First let me apologize for stealing your topic, perhaps thats something we as a class can look into clearing up (or are we allowed to repeat topics, I’m not really sure)! Onto your blog. It seems to me that you had done a ton of research into barstool and pulled out some really interesting history (I didn’t realize SATFB was created from a tweet) and I have to say I really appreciate the amount of detail you went into. I think that your take on their digital content was great and you actually informed me (a self-proclaimed Stoolie) of things I simply did not know about. I also planned on blogging about the rise of Barstool at some point but unfortunately you guys beat me to it. As I was scrolling through Twitter this morning, I noticed that Portnoy and Nardini were on Fox Business talking about their recent success, and it isn’t the first time that this has happened. As I mentioned in my comment on @profgarbusm ‘s blog, a few months ago the same duo was on Mad Money with Jim Cramer, and Portnoy has appeared on Tucker Carlson’s show multiple times over the past few months. This tells me one thing: whether you like their content or not, people are taking notice of what Barstool Sports is doing. Regardless of what you think of Fox News, you can’t argue with the fact that an up and coming digital business being positively recognized by a large media outlet is not a major step for any company. Doing media spots like this will continue to help Barstool break through the barrier to more blue chip sponsors and business partners that it needs to continue the growth of its Pirate Ship. I found it interesting to know where SAFTB came from. I thought they had just made it up, but I guess it makes sense. We’ve talked about how predicting virality can be all but impossible, so it is unlikely they could have intentionally invented motto to intentionally be as successful as it is. I have seen “Saturdays are for the Boys” flags in so many dorm rooms and college student houses and flown at tailgates. You make a good point about their offensiveness holding back their ability to get some large advertisers. However, maybe this does not mean their ads are ineffective. I think their loyal fans are more likely to appreciate relevant ads (especially if it is sponsored content developed to promote a brand) than from other websites, because they love everything Barstool. I’ve always been intrigued about Barstool – I don’t follow it religiously in the way so many around me do, but their content is always entertaining when I come across it. That said, it was really interesting to learn a little more about how they’ve monetized themselves and how they have successfully integrated advertising into their business model. I think that it makes a lot of sense for the company and seems to have worked well for those buying advertising space once they look past the possibly offensive image. I heard a quote recently that said (loosely) “If you can entertain people with the content of your advertisement, they’ll forgive you for attaching a brand and a sale to it.” Even at the time I thought it was interesting and true, but I think this is a great example of how people can engage with content even if it’s meant as an advertisement which is typically an annoyance in the way of unsponsored content. Great post! I think one thing that is absolutely wild about Barstool’s freedom of content is that no one is safe. Barstool has done an excellent job advertising across many platforms, but you definitely take a risk advertising with them. I distinctly remember one time “Dude Perfect” advertised with PMT, and they esentially mocked Dude Perfect with jabs throughout the prewritren ad. If that wasnt enough, they still (almost a year later) have a bit where they make fun of Dude Perfect. Its pretty funny, but its interesting to consider how dangerous it can be to advertise with people who arent exactly “professionals”. A paid ad ended up turning into a patronizing campaign across barstool advertising platforms. Nice post! Also adding @profgarbusm. It is inevitable that there are some overlaps in topic. With so many people writing about so many different things, it just happens. I appreciate you refocusing the blog. Usually, I just have students add a paragraph to make sure there’s enough differences. thanks for your work!